The Franklite RF241 is a Chrome finish 12 Volt low voltage decorative crystal downlight. The Firstlight Cube Single Downlight is in an Aluminium finish. The Firstlight Cube 3 Light Downlight is in an Aluminium finish. The Firstlight Cube 4 Light Downlight is in Aluminium. GU10 mains voltage adjustable die-cast polished brass fire rated downlight. GU10 mains voltage adjustable die-cast brushed chrome fire rated downlight. GU10 mains voltage adjustable die-cast polished chrome fire rated downlight. GU10 mains voltage adjustable die-cast white fire rated downlight. 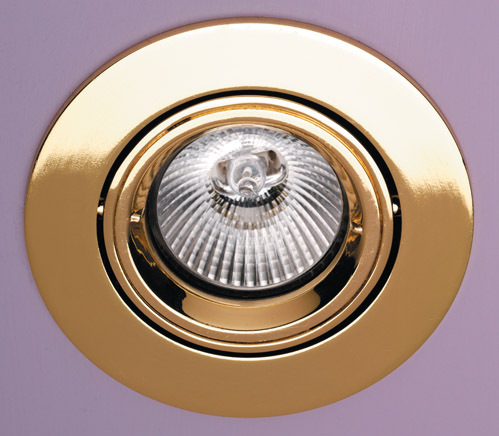 GU10 mains voltage fixed die-cast polished brass fire rated downlight. GU10 mains voltage fixed die-cast brushed chrome fire rated downlight. GU10 mains voltage fixed die-cast polished chrome fire rated downlight. GU10 mains voltage fixed die-cast white fire rated downlight. 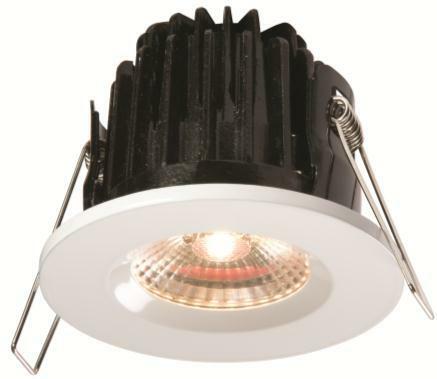 7 Watt Cool White COB LED Fixed IP65 Black Fire Rated Downlight. 7 Watt Warm White COB LED Fixed IP65 Black Fire Rated Downlight. 7 Watt Cool White COB LED Fixed IP65 Polished Brass Fire Rated Downlight. 7 Watt Warm White COB LED Fixed IP65 Polished Brass Fire Rated Downlight. 7 Watt Cool White COB LED Fixed IP65 Brushed Chrome Fire Rated Downlight. 7 Watt Warm White COB LED Fixed IP65 Brushed Chrome Fire Rated Downlight. 7 Watt Cool White COB LED Fixed IP65 Polished Chrome Fire Rated Downlight. 7 Watt Warm White COB LED Fixed IP65 Polished Chrome Fire Rated Downlight. 7 Watt Cool White COB LED Fixed IP65 White Fire Rated Downlight. 7 Watt Warml White COB LED Fixed IP65 White Fire Rated Downlight. Luxury Lighting supply a large range of kitchen recessed downlights at affordable prices. Using recessed lighting in the kitchen provides a more minimal, modern look to the decor while still giving a good amount of functional lighting to the room, depending how many are installed in the ceiling. Kitchen recessed downlighters are a great lighting soultion for the kitchen. These recessed lights are available in all kinds of designs and finishes.